Pierre Lebeau in a publicity still from the film Nouvelle-France. 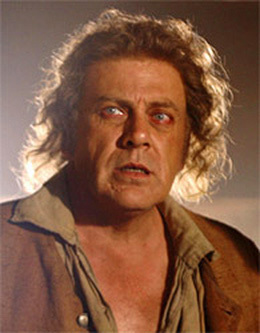 Lebeau is a graduate of the National Theatre School in 1975. One of his oddest roles was that of the voice of the fish which narrates Dennis Villeneuve`s film Maelström. 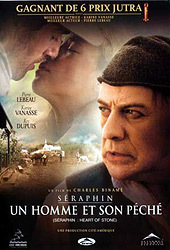 Lebeau played the title character of Séraphin Poudrier in the 2002 film, Séraphin: Un Homme et son péché.